Z U A . 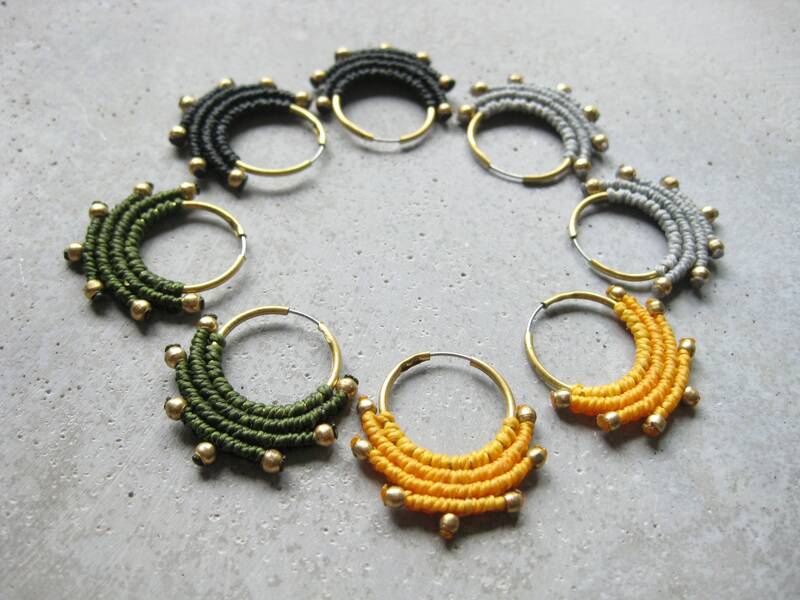 Textile Brass Hoop Earrings . Modern Fiber Jewelry . Macrame Jewelry . © Design by .. raïz ..
Z U A . Textile + Brass Hoop Earrings . Modern Fiber Jewelry . Macrame Jewelry . © Design by .. raïz ..
Brass hoop earrings with a dainty textile design made . one tiny knot at a time . by micro macrame technique. Closure: stainless steel ear wire to be inserted in the brass tube.